1 Connecticut: Vital Records (The Barbour Collection), 1630-1870, Preston, Page 140, Birth record for daughter Margaret Morgan, New England Historic Genealogical Society (Online Database). 2 Connecticut: Vital Records (The Barbour Collection), 1630-1870, New London, p. 217, Birth record for daughter Dorothy Morgan, New England Historic Genealogical Society (Online Database). 3 New England Ancestors Magazine, 2002, Vol. 3.5, pp. 34-35, New England Historic Genealogical Society (Online Database). 4 New England Ancestors Magazine, 2001, Vol. 2.1, p. 40, New England Historic Genealogical Society (Online Database). 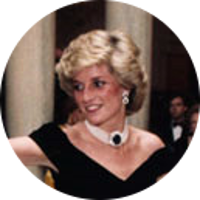 5 Evans, Richard K., The Ancestry of Diana, Princess of Wales , Boston: New England Historic Genealogical Society (2007), 146. 7 McGhan, Judith, Genealogies of Connecticut Families: From the New England Historical and Genealogical Register, Vol. 1, Baltimore, Maryland: Genealogical Publishing Co. (2006), 563. 8 Merrick, Barbara Lambert and Scott Andrew Bartley, Mayflower Families Through Five Generations: Vol. 24, Part 1, William Brewster, Plymouth, Massachusetts: General Society of Mayflower Descendants (2014), 250. 9 Merrick, Barbara Lambert, comp., Mayflower Families in Progress: William Brewster of the Mayflower and His Descendants for Four Generations, 3rd edition, Plymouth, Massachusetts: General Society of Mayflower Descendants (2000), 64. 10 Morgan, Appleton, A History of the Family of Morgan, from the Year 1089 to Present Times, New York: For Subscibers only (1902), 105, Internet Archive (Digital Library). 11 Morgan, Nathaniel H., Morgan Genealogy: A History of James Morgan, of New London, Conn., and His Descendants; From 1607 to 1869, Hartford: Press of Case, Lockwood and Brainard (1869), 22, Google Books (Digital Library). 12 Park, Edwin H., The Park Record: Containing an Account of the Ancestry and Descendants of Thomas Kinnie Park and Robert Park of . . ., Denver, Colorado: Bartow and Ray Print (1902), 12, Heritage Quest (Digital Library). 13 Perkins, George A., The Family of John Perkins of Ipswich, Massachusetts, Part 1, Descendants of Quarter-Master, John Perkins, 2nd ed. , Salem, Mass. : Salem Press (1884), 12, Hathi Trust Digital Library. 14 Roberts, Gary Boyd, "#48 Royal Descents, Notable Kin, and Printed Sources: The Ancestry of Novelist Thomas Pynchon", (accessed 11/28/2018), New England Historic Genealogical Society (Online Database). 15 Roberts, Gary Boyd, Notable Kin, Volume 1 , Santa Clarita, California: Carl Boyer, 3rd (1998), 20. 16 Roberts, Gary Boyd, The Royal Descents of 600 Immigrants to the American Colonies or the United States , Baltimore: Genealogical Publishing Co. (2008), 541, 578. 17 Roberts, Gary Boyd and William Addams Reitwiesner, American Ancestors and Cousins of The Princess of Wales, Baltimore: Genealogical Publishing Co., Inc. (1984), 29, Ancestry.com (Online Database), [Birth]. 18 Roberts, Gary Boyd and William Addams Reitwiesner, American Ancestors and Cousins of The Princess of Wales, Baltimore: Genealogical Publishing Co., Inc. (1984), 29, Ancestry.com (Online Database), [Death]. 19 Roberts, Gary Boyd and William Addams Reitwiesner, American Ancestors and Cousins of The Princess of Wales, Baltimore: Genealogical Publishing Co., Inc. (1984), 29, Ancestry.com (Online Database). 20 Roberts, Gary Boyd, comp., Ancestors of American Presidents , Boston: New England Historic Genealogical Society (2009), 567, 573.